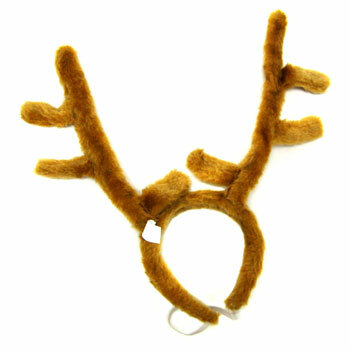 Reindeer antlers are the perfect headgear for a Christmas party. Covered in soft plush material. Poly-bagged and sold individually. $2.50 each for 48 or more. $2.15 each for 96 or more.